The fate of Georgia’s elections and energy future lie in the results of Tuesday’s Runoff election. VOTE for John Barrow for Secretary of State and Lindy Miller for Public Service Commissioner. If you did not participate in early voting last week, please make your Runoff Election Day voting plan now. Your polling location may have changed since the last time you voted, and it may be different from the early voting locations open last week. Double check that you are going to the right place. You need to show some sort of photo identification in order to vote. This is only to verify your name, not your address. Your ID does NOT need to match your current address. Locate your ID now and place it inside your wallet, money clip, or purse. Here is a full list of accepted forms of identification. Your right to vote is sacred. Full Stop. Know your rights before you enter your polling location so if something is wrong, you can flag it right away. Click here for more information about your right to vote. Be prepared. If you run into any problems at the polls or if you’re mistakenly turned away, make sure you know who to call for help. Write this number on a post-it note or save it in your phone. 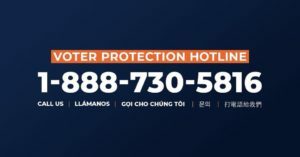 Voter Protection Hotline number is 1-888-730-5816. It’s going to be cold on Tuesday. Do not allow it to deter you from voting. Instead, get prepared now. Dress in layers. Find your jacket, hat, and gloves. Place them next to your things to take with you tomorrow. Notify your manager or coworkers when you’re planning to vote. By law, employers are required to permit you time off to go vote. Wear comfortable shoes and warm clothes. Pack a water bottle and snacks. Bring reading material or make sure your phone is fully charged. If you have a folding lawn chair, pack it in your car just in case. 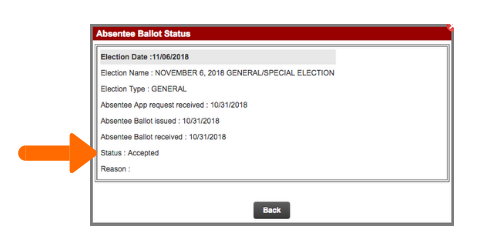 If you voted absentee, make sure to check that your ballot was received and counted HERE. As we saw during the General election, votes have a way of disappearing in Georgia. If you’re not sure how to check your status, please see below for instructions. 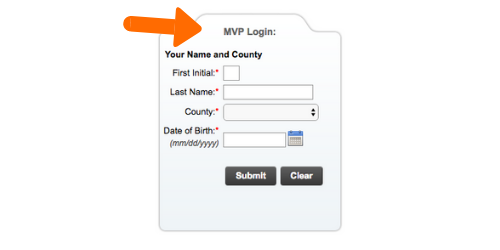 Visit www.mvp.sos.ga.gov to see your personal voter page. 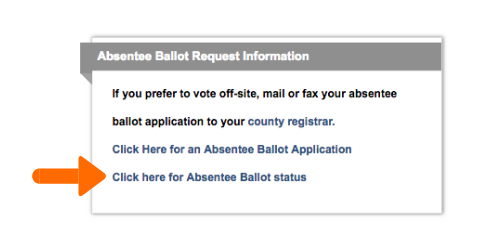 In the next screen, look for the Absentee Ballot Request Information section (2nd box from the top on the left side). If your Absentee Ballot status does not say “Accepted“, please call the one of the Voter Protection Hotline immediately. Absentee ballots will be accepted as long as they are *POSTMARKED* by December 4th and *RECEIVED* by December 7th. Whatever happens tomorrow, PLEASE STAY IN LINE until your vote is counted. Tomorrow, we can make history.